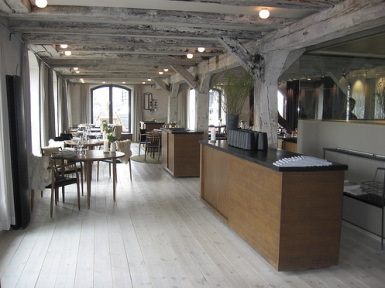 After many years of mimicking the chefs of Paris and Asia Scandinavian cuisine was put back on the menu in Copenhagen through restaurateur Claus Meyer and chef Rene Redzepi�s opening of Noma, a restaurant in Copenhagen's regenerated Christianshavn district dedicated to refined Nordic cuisine. A veteran of boldface kitchens like El Bulli and the French Laundry, chef Redzepi favours a molecular approach to cooking, culling ingredients from every Nordic clime, even Denmark�s lesser-known territories. Dishes combine such exotic flavors as musk ox, pigeon, porridge, elderberries, seaweed, shrimp, sorrel and more. Two Michelin stars in just 4 years of operation, and strongly tipped for a third before long Noma is a coup de grace for Denmark�s thriving dining scene.